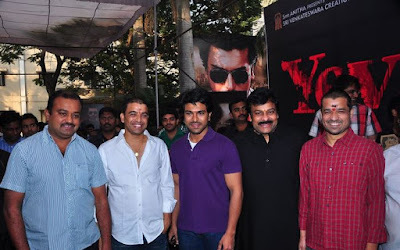 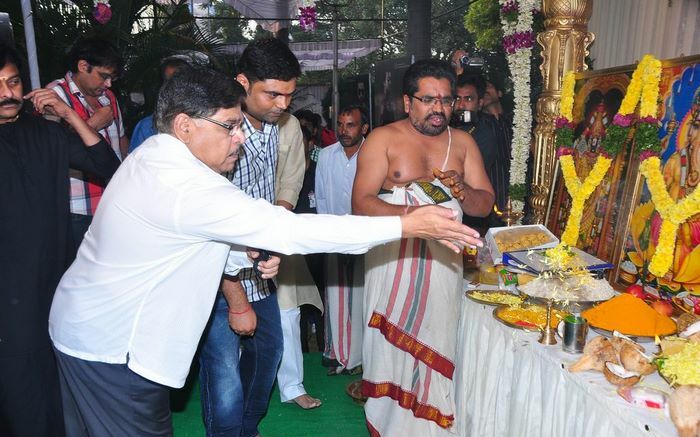 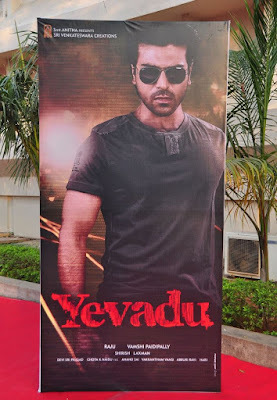 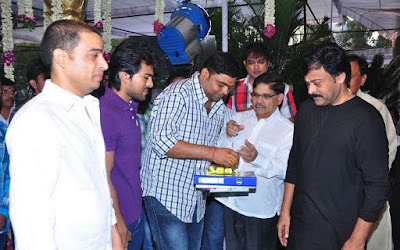 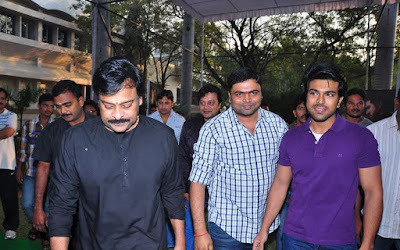 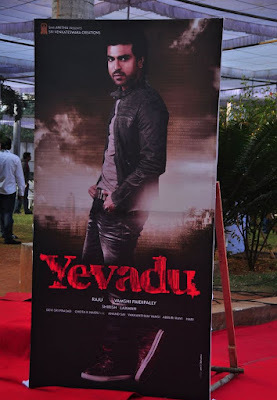 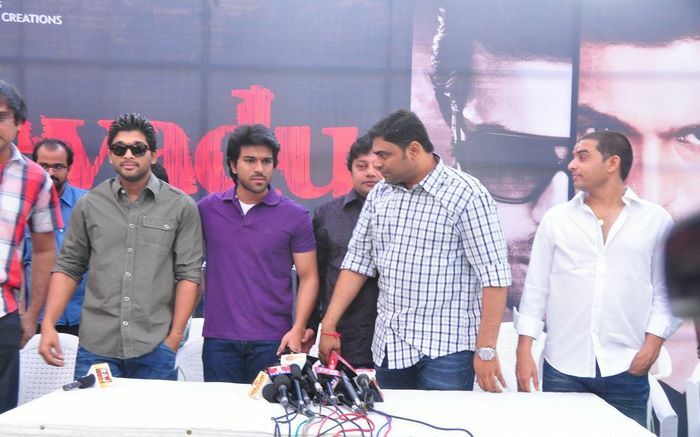 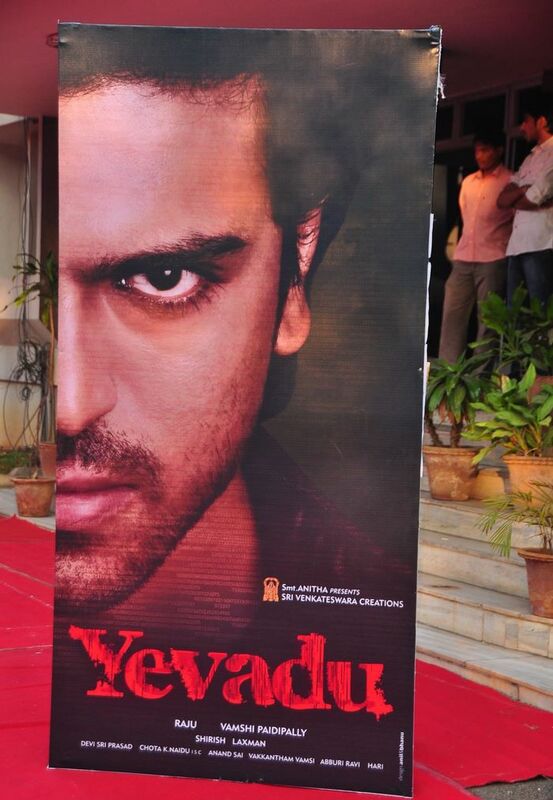 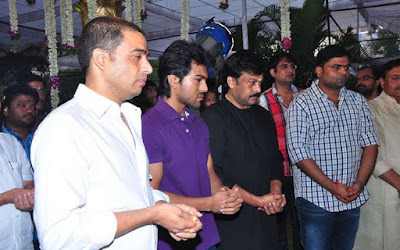 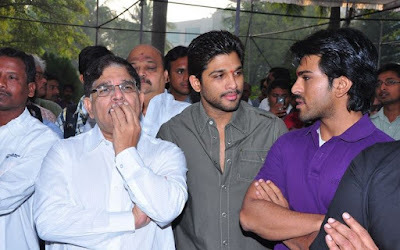 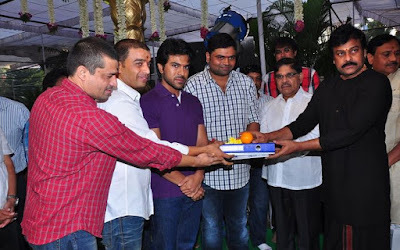 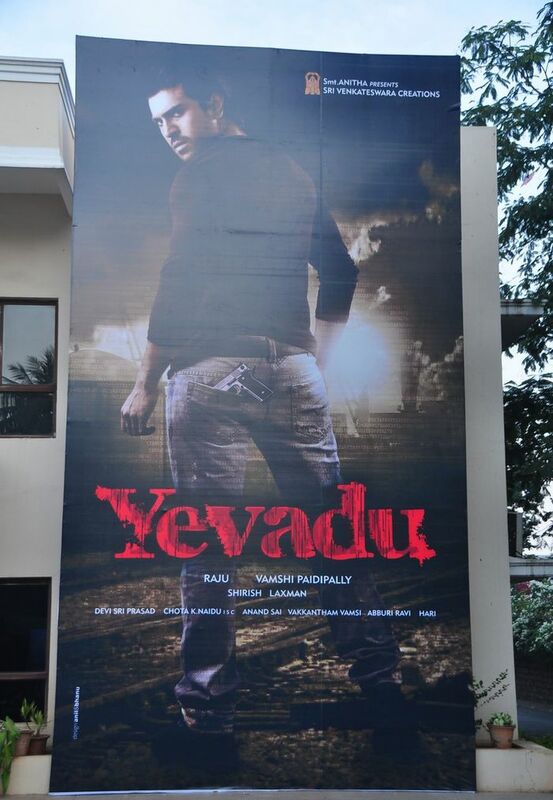 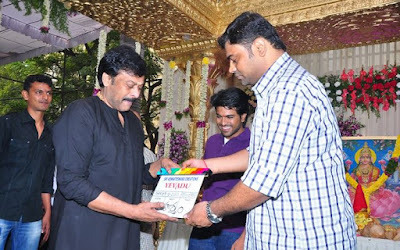 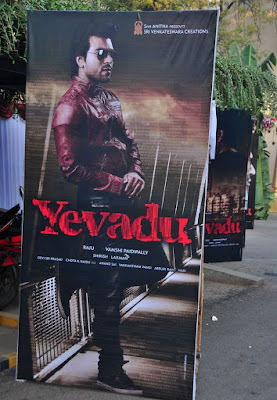 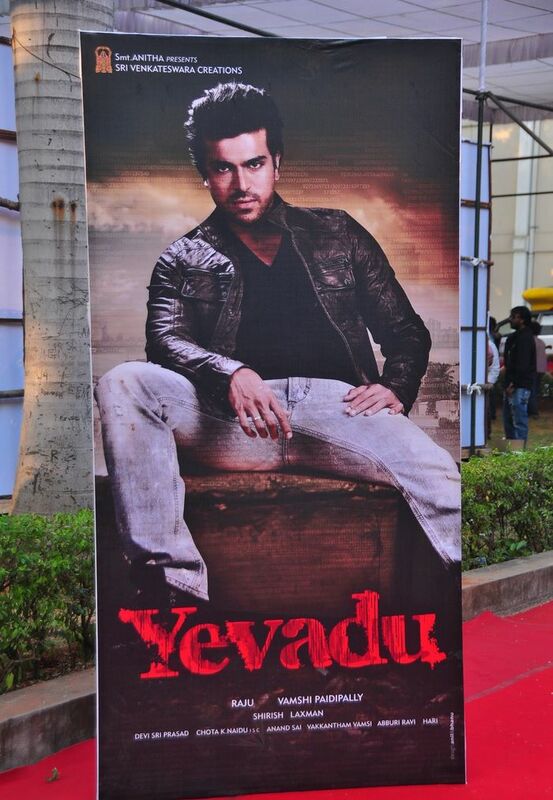 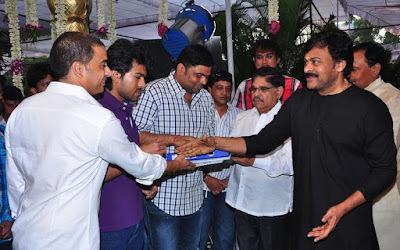 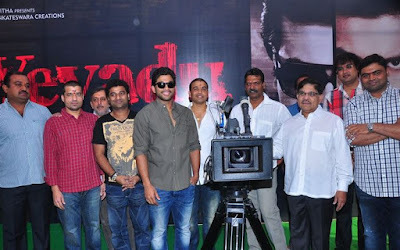 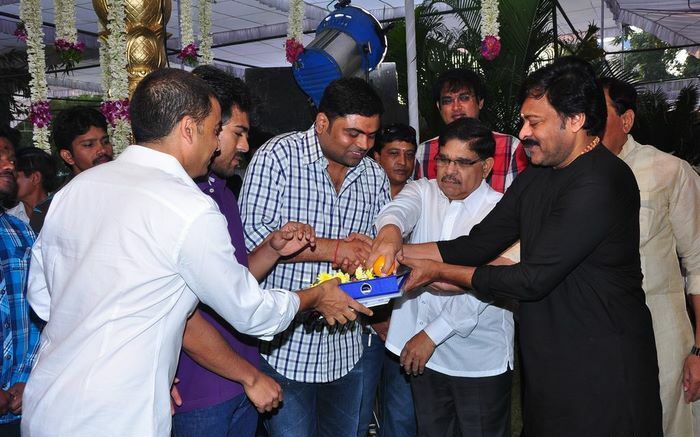 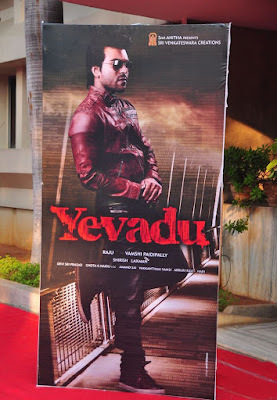 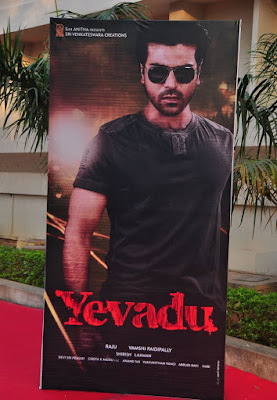 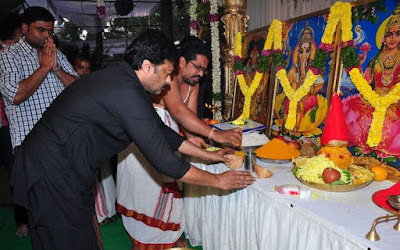 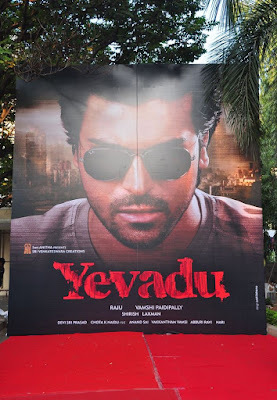 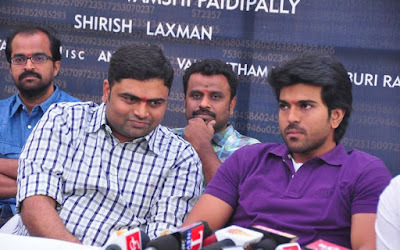 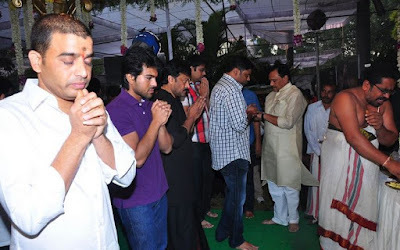 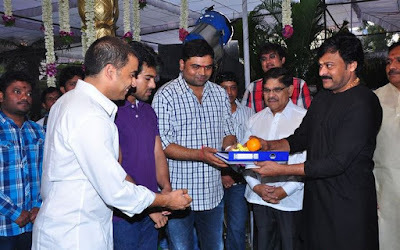 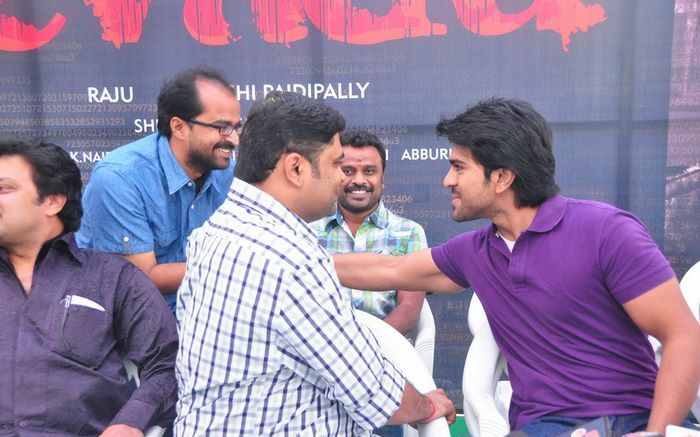 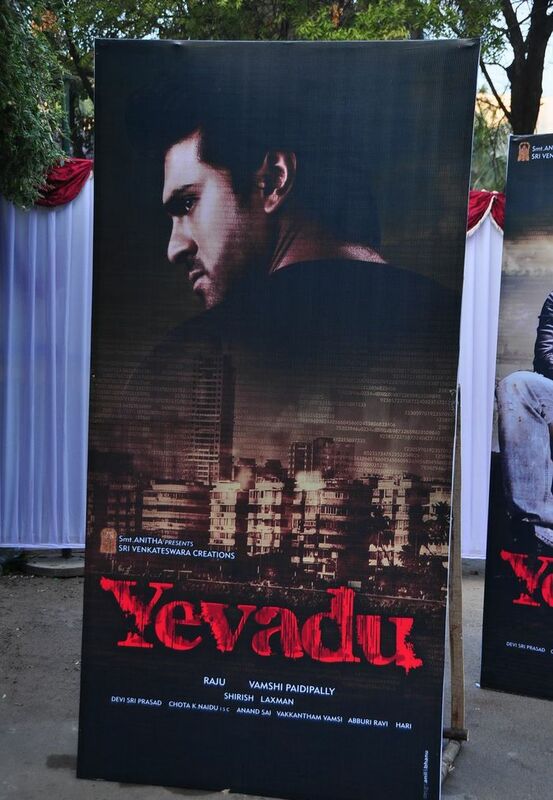 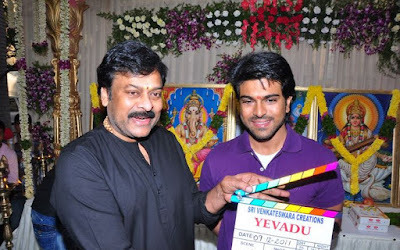 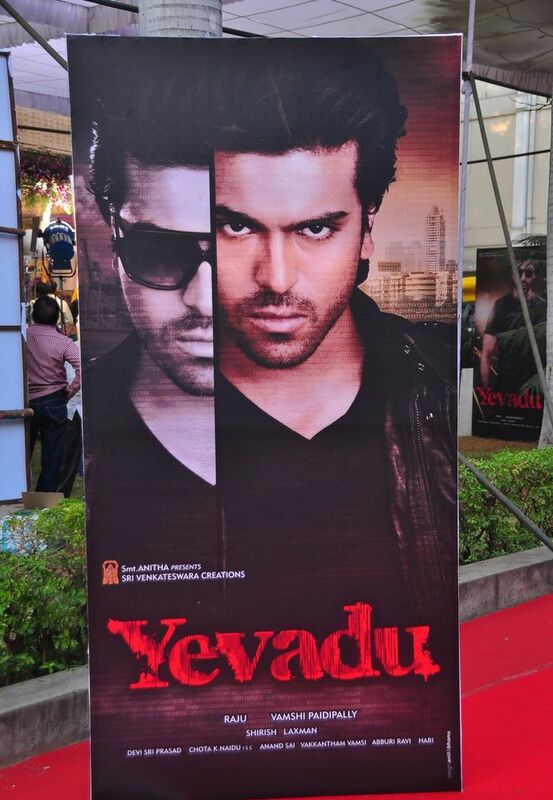 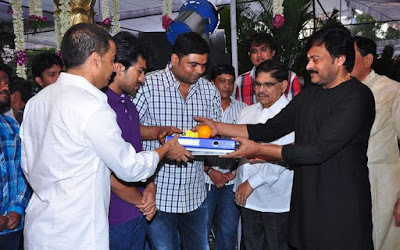 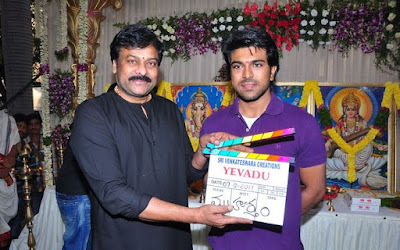 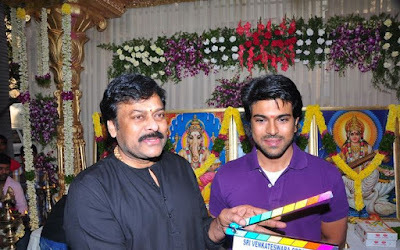 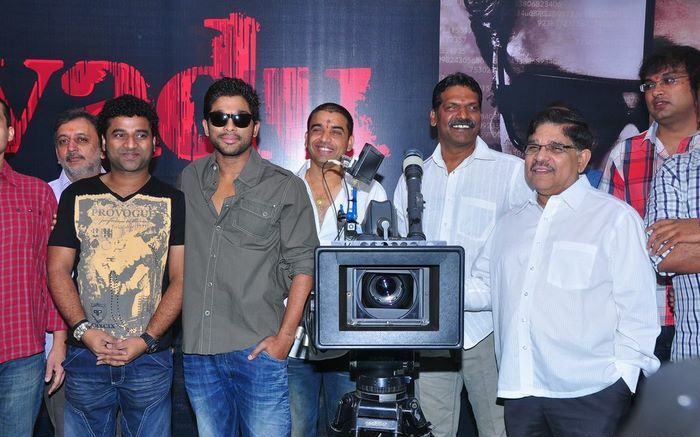 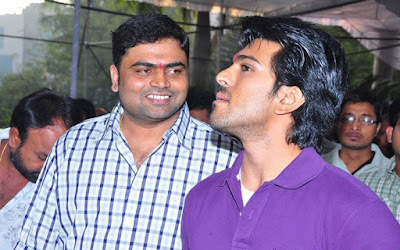 Mega Power Star Ram Charan’s new film under the direction of Vamsi Paidipally titled Yevadu has launched grandly. 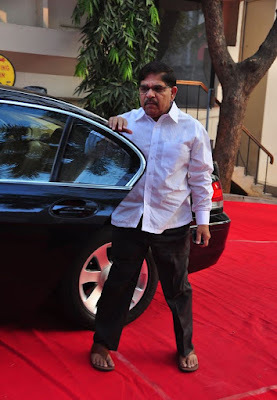 The event was held at Prasad Labs. 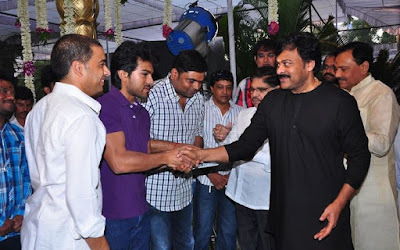 The event was graced by Chiranjeevi, Ram Charan, Allu Arjun, Allu Arvind, Dil Raju, Devi Sri Prasad, Vamsi Paidipally, etc attended the event. 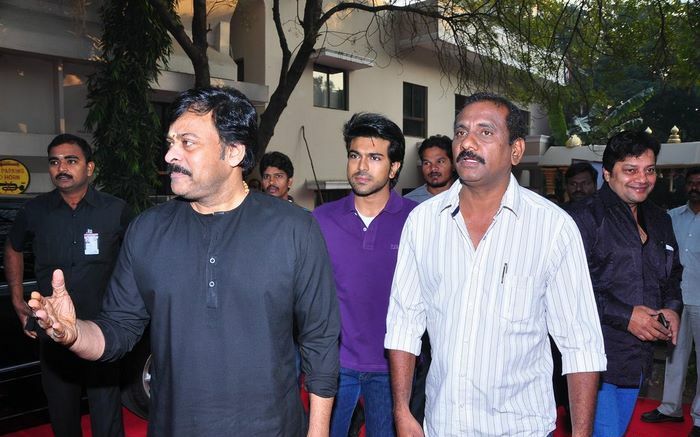 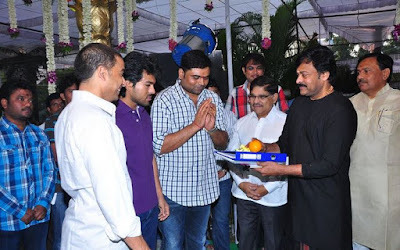 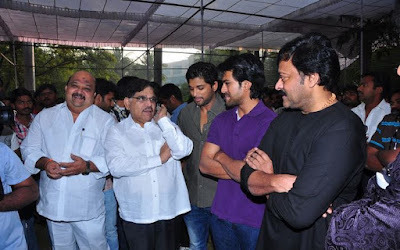 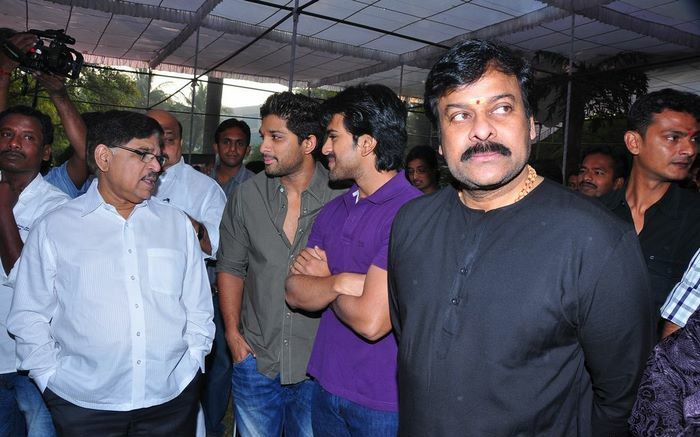 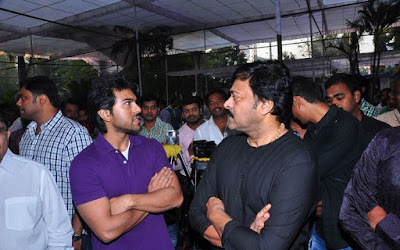 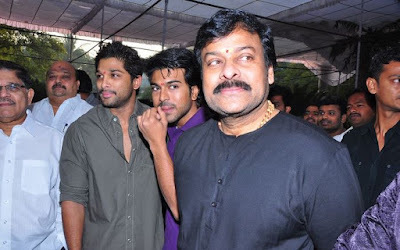 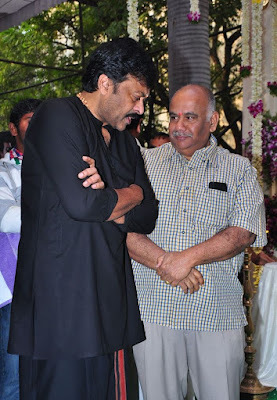 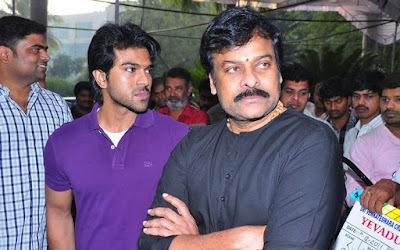 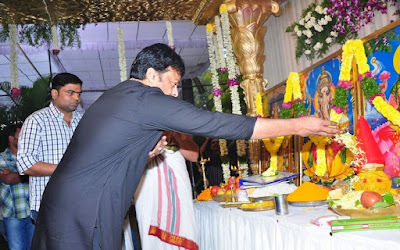 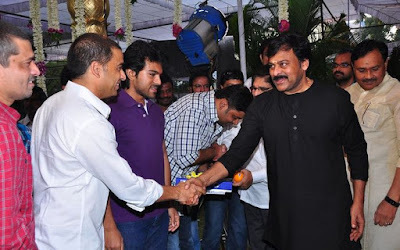 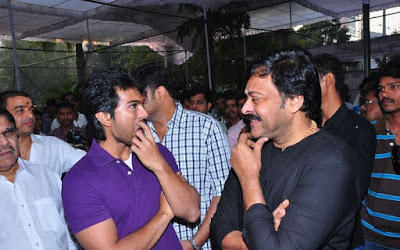 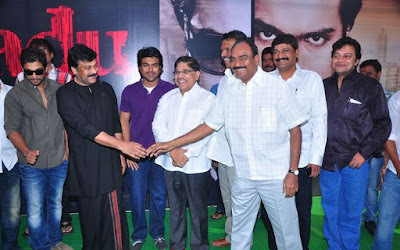 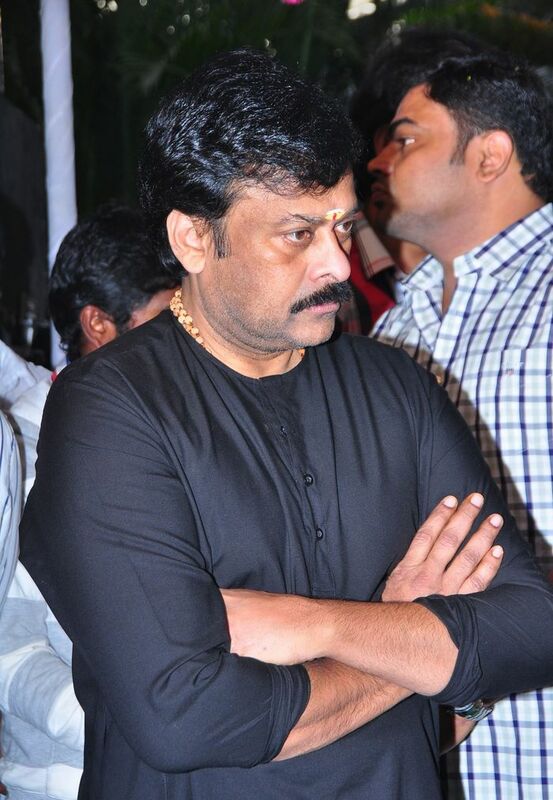 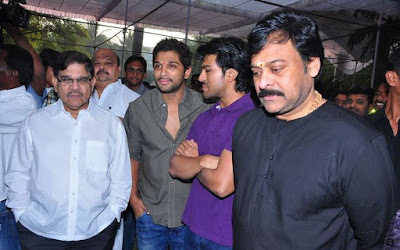 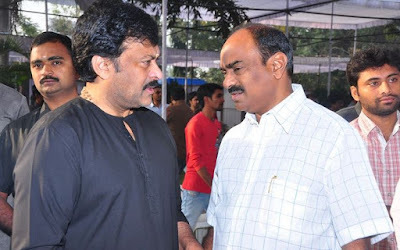 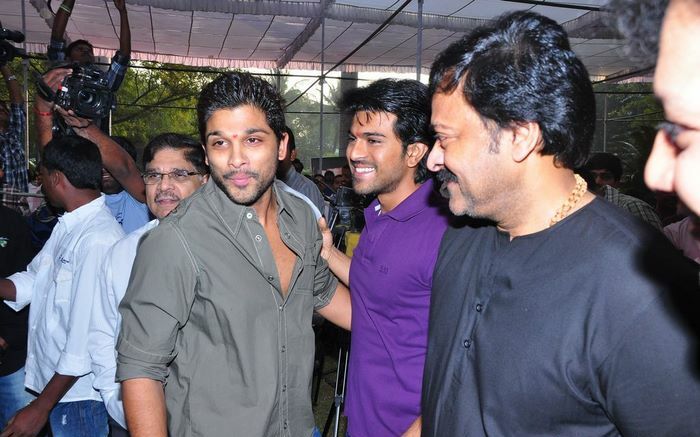 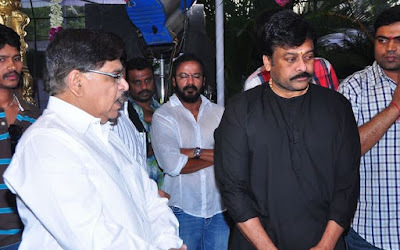 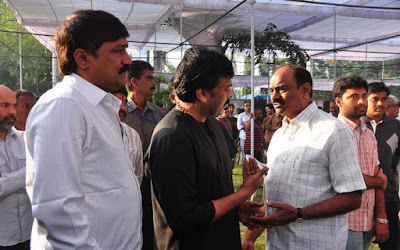 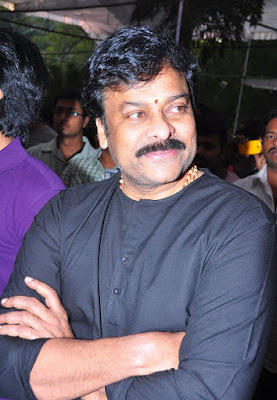 Chiranjeevi Gave the Clap. The first look posters of Charan in the movie are fantastic. He is sporting a new look for this movie. 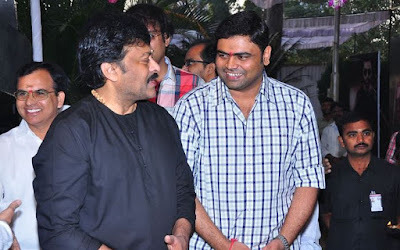 Devi Sri Prasad is scoring the music. 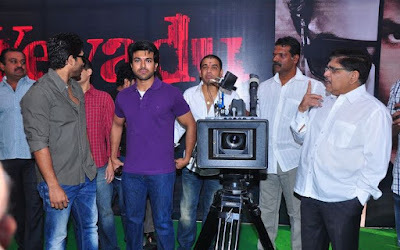 Abburi Ravi is providing dialogues and Chota K Naidu is the lens man. Ashok is the art director. 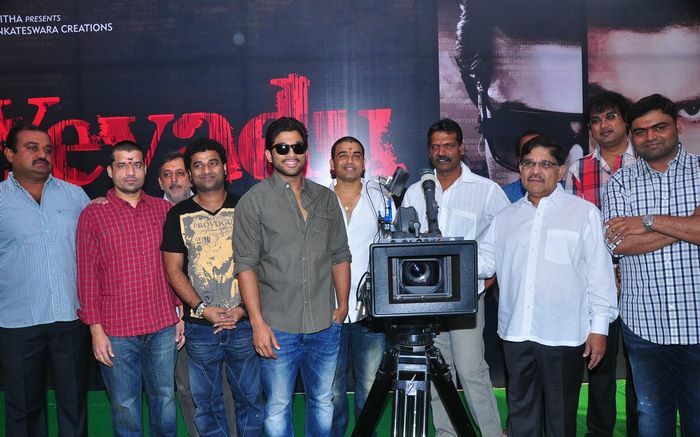 The film will commence shooting from early next year.